Kraftwerks Rotrex Centrifugal Superchargers UNIVERSAL - Lesher Motorsports, Inc.
Rotrex Centrifugal Superchargers present a unique solution that combines the best aspects of supercharging with those of turbocharging. Unlike any other supercharging solution, the patented Rotrex traction drive allows it to operate at sufficiently high rpm levels (up to 240,000 rpm) to take full advantage of modern centrifugal compressor and impeller design. The Rotrex C15-60 supercharger is the largest of the compact C15 line of Rotrex superchargers. This little unit is capable of producing up to 200hp or more on high efficiency engines, on engine sizes ranging between 1.0-2.0L. Using the patented Rotrex planetary traction drive, the C15-60 has a 12.67:1 drive ratio and can achieve impeller speeds up to 150,000RPM! The Rotrex C30-74 supercharger is an extremely versatile supercharger, and can fit a range of applications. This compact unit is capable of producing up to 300hp, on engine sizes ranging between 1.6-2.5L. Using the patented Rotrex planetary traction drive, the C30-74 has a 9.49:1 drive ratio and can achieve impeller speeds up to 120,000RPM! The Rotrex C30-94 supercharger is an extremely versatile supercharger, and can fit a range of applications. This compact unit is capable of producing up to 400hp or more, on engine sizes ranging between 2-4.5L. Using the patented Rotrex planetary traction drive, the C30-94 has a 9.49:1 drive ratio and can achieve impeller speeds up to 100,000RPM! The Rotrex C38-61 supercharger is the smallest C38 and can fit a wide range of applications. This compact unit is capable of producing up to 550hp, on engine sizes ranging between 2.4-5.0L. Using the patented Rotrex planetary traction drive, the C38-61 has a 7.5:1 drive ratio and can achieve impeller speeds up to 90,000RPM! The Rotrex C38-71 supercharger is a medium range C38 and can fit a wide range of applications. This compact unit is capable of producing up to 575hp, on engine sizes ranging between 2.4-5.5L. Using the patented Rotrex planetary traction drive, the C38-71 has a 7.5:1 drive ratio and can achieve impeller speeds up to 90,000RPM! 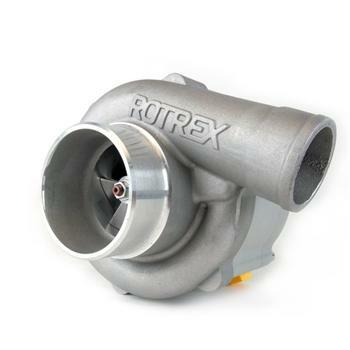 The Rotrex C38-81 supercharger is a medium range C38 and can fit a wide range of applications. This compact unit is capable of producing up to 600hp, on engine sizes ranging between 2.4-6.0L. Using the patented Rotrex planetary traction drive, the C38-81 has a 7.5:1 drive ratio and can achieve impeller speeds up to 90,000RPM! The Rotrex C38-91 supercharger is the “big boy” C38. The unit has a fully Rotrex developed impeller wheel designed for better overall efficiency. This compact unit is capable of producing up to 650hp, on engine sizes ranging between 2.4-6.0L. Using the patented Rotrex planetary traction drive, the C38-91 has a 7.5:1 drive ratio and can achieve impeller speeds up to 90,000RPM! The Rotrex C38-92 supercharger is the “BIG boy” C38 and can fit a wide range of applications. This compact unit is capable of producing up to 650hp, on engine sizes ranging between 2.4-6.0L. Using the patented Rotrex planetary traction drive, the C38-92 has a 7.5:1 drive ratio and can achieve impeller speeds up to 90,000RPM! Please Note: Supercharger drive pulley is not included and must be purchased separately. A high performance oil cooler is not included and must be purchased separately. Please call for recommendations.